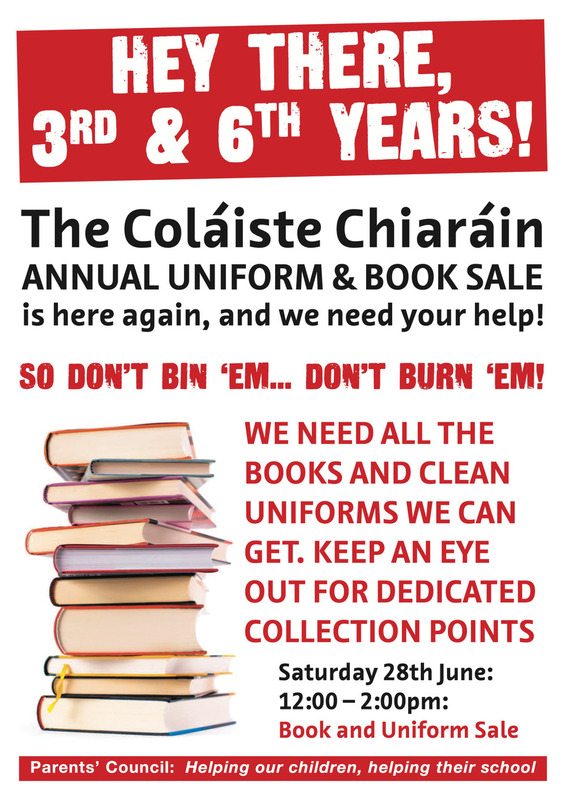 Second-hand sale of uniforms and books will take place on Saturday 28th June in the assembly hall from 12:00 noon to 2:00pm. Donations for this can be dropped off between 5th - 27th June. All donations should be bagged and clearly marked – to be dropped off inside back door near sports hall. 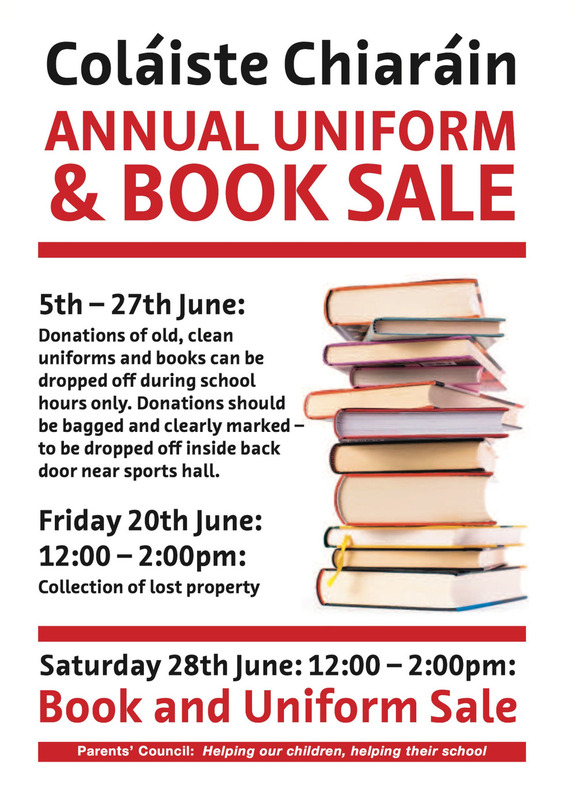 Lost property can be claimed on Friday 20th June - 12:00 noon to 2:00pm.